Takoma Park Silver Spring Co-op promotes healthful living by offering wholesome foods, high quality produce and community resources in a clean, friendly and cooperative grocery store…that you can own! Check Out our current sales flyer! MAD Money: 10% off of almost everything in our store on any day once each month! Member Basics: every day discounts on a growing list of grocery staples. Upon signing up, new members receive a 20% off Coupon to be used any time. Community Business Partnership Program (CBPP) Discount Card. What Does A Co-op Do? TPSS Co-op is committed to selling the products of local growers and producers as much as possible. The Co-op now buys from over 200 local businesses. In 2018, we expanded our access to dozens more regional products by entering into a relationship with Common Market, a regional food hub that aggregates and distributes products from local growers and producers in the mid-Atlantic region. 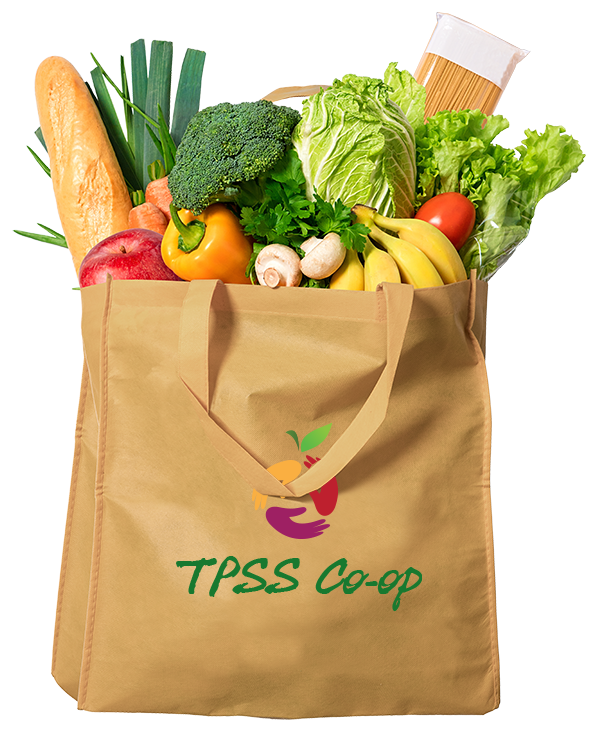 The TPSS Co-op promotes healthful living by offering wholesome foods and high-quality wellness products. Our staff is knowledgeable and friendly, offering useful information about our products. We offer monthly discounts and senior discounts, as well as payment of our $100 lifetime membership fee on installment. As a member-owned business, TPSS Co-op fosters active community by democratically electing member-owners to the board of representatives; inviting comments at board meetings, twice-yearly member meetings, and special events; and keeping our membership informed through our website, social media, and e-mails. We also support the greater community of Takoma Park/Silver Spring through outreach programs, community events, and charitable donations.